With fall semester started, the Oxford College Science Building fills with activity in labs and other classrooms. 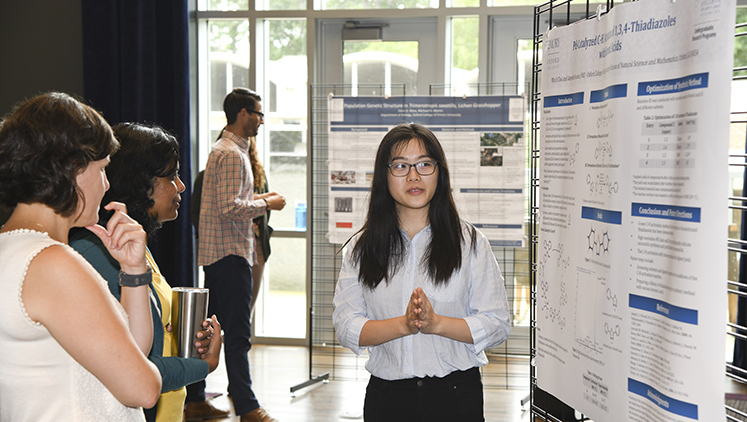 But recent summer days provided a perfect opportunity for Oxford students Justin Burton, Min Ji Choi, and Eden Nitza to make progress on their professional research projects. They spent this past summer examining Georgia grasshoppers, black holes, and a new method for creating molecules found in medicines. Read about their experiences with SURE-Oxford.